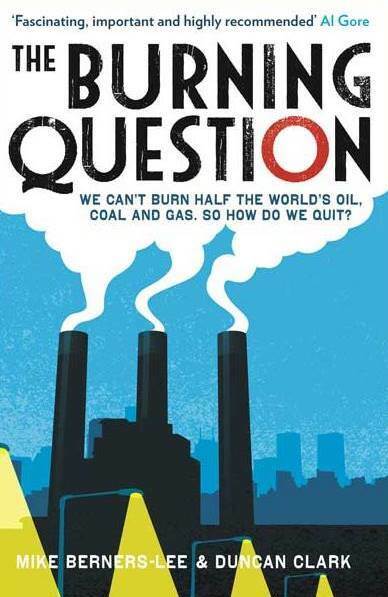 If you are looking for an introductory book on the climate crisis, this is as good as any I’ve read. It sets out the issues in a clear and focussed way, and tours the science, politics, psychology and economics of the subject, as well as providing an overview of the options for the future. Several things stand out for me after reading this book. One is that doing something about climate change isn’t just a question of developing alternatives to fossil fuels. Our appetite for energy is such that we are quite capable of developing renewables and still consuming more fossil fuels than ever. So we don’t just need to develop alternatives to fossil fuels, we need to set a limit to the total amount of fossil fuels we use. This means leaving a lot of the world’s known reserves of coal and oil permanently in the ground. No wonder the people that own them are unhappy! The savagery and cynicism of this, not to mention its utter weirdness, is fairly scary (see also Tom Burke’s piece on this here), but perhaps there’s some hope to be found in its sheer desperation? It suggests (doesn’t it?) that the deniers are pretty worried, don’t really believe they have a real argument, and don’t necessarily think they’re going to win. Which of course they won’t. Because ultimately we’ll either do something about the problem, or find out the hard way just how wrong they were.